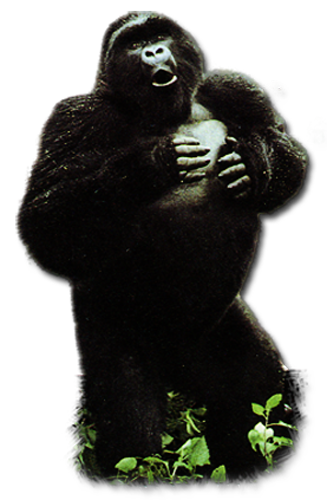 Apes first appeared in Africa during the Early Miocene 23 – 16 million years ago (mya). 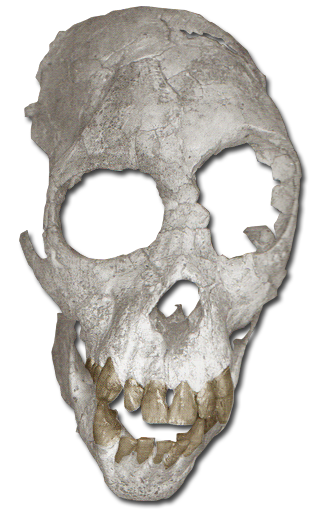 The regions of Ethiopia, Kenya, Uganda, and Nambia are littered with the earliest of their remains. The drastic climatic distribution of dry and wet seasons and geographical partitions that dominate east Africa today had not yet taken place and the landscape was probably a mixture of forests and moist woodlands (Stanford, et al.). Environmental changes were drying the landscape, transforming it into open-vegetated woodlands and grasslands. Evidence of land connection between Eurasia and Africa first appeared approximately 17mya allowing early hominoids their first opportunity to emigrate from Africa. By 11mya hominoids were well established throughout Eurasia.